Are your video recordings boring and repetitive? 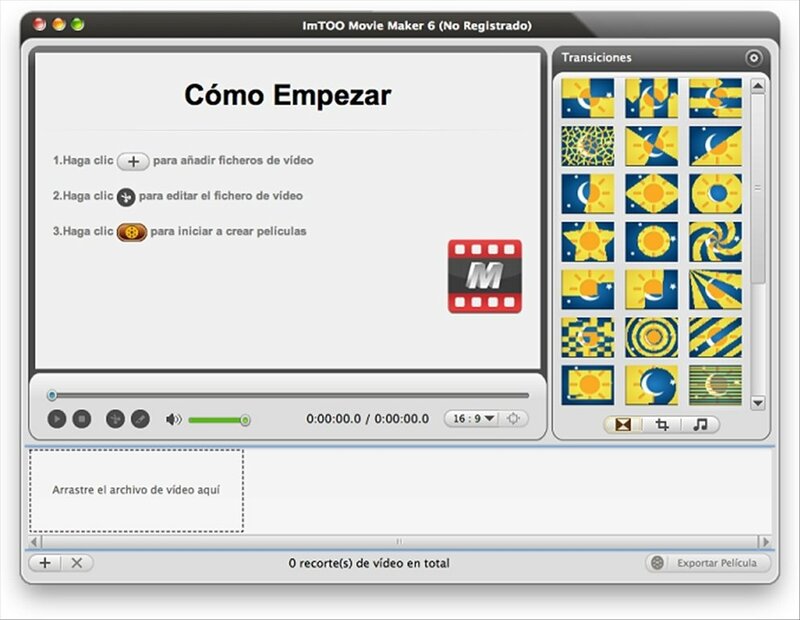 Download ImTOO Movie Maker for Mac and discover how to convert your videos into creative movies. 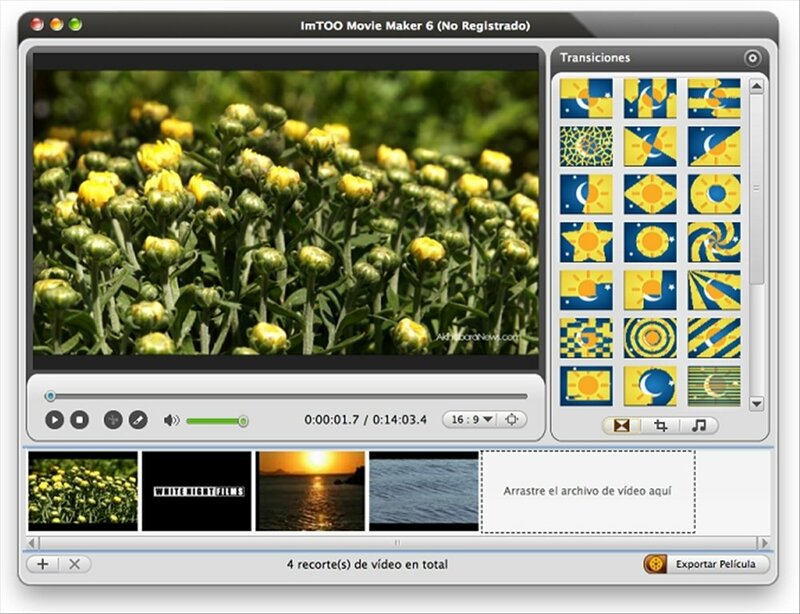 Transform your video recordings into crafted movie montages. A common error made by many video enthusiasts is to show their original recordings without any processing. 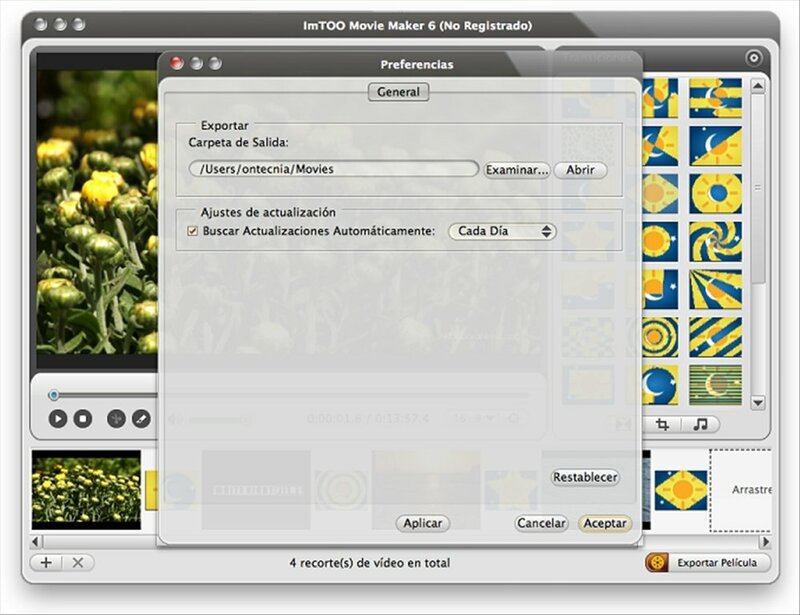 With a program such as ImTOO Movie Maker you can edit your videos and create your own customized movies with impressive scenes. Editing tools for slicing videos and merging the parts you are interested in. Transition effects for creating scene changes. 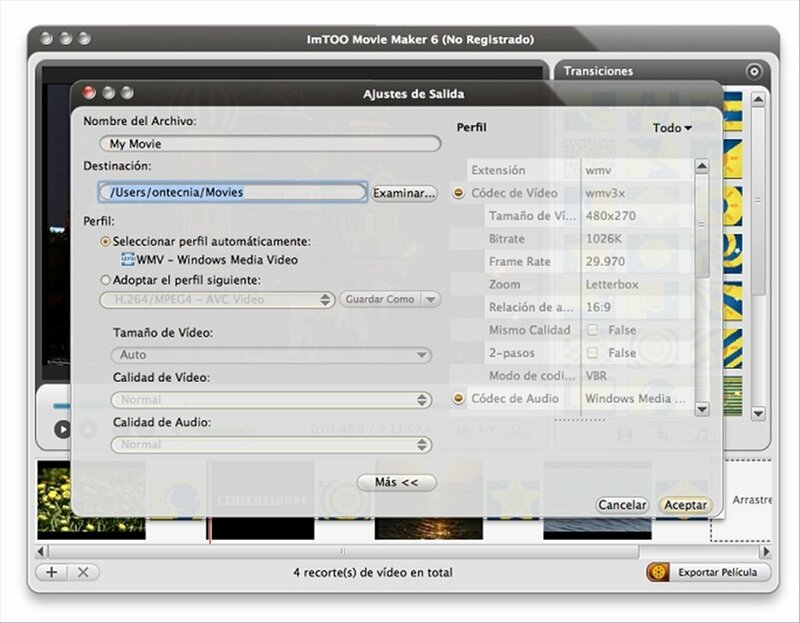 Option to add music or your own narration to your videos. Supports a wide range of formats including MTS, M2TS, AVI, MPEG-2/4, VOB, WMV, 3GP, M4V, MP4, RM, RMVB, FLV, MPV, MOV, DAT and ASF. 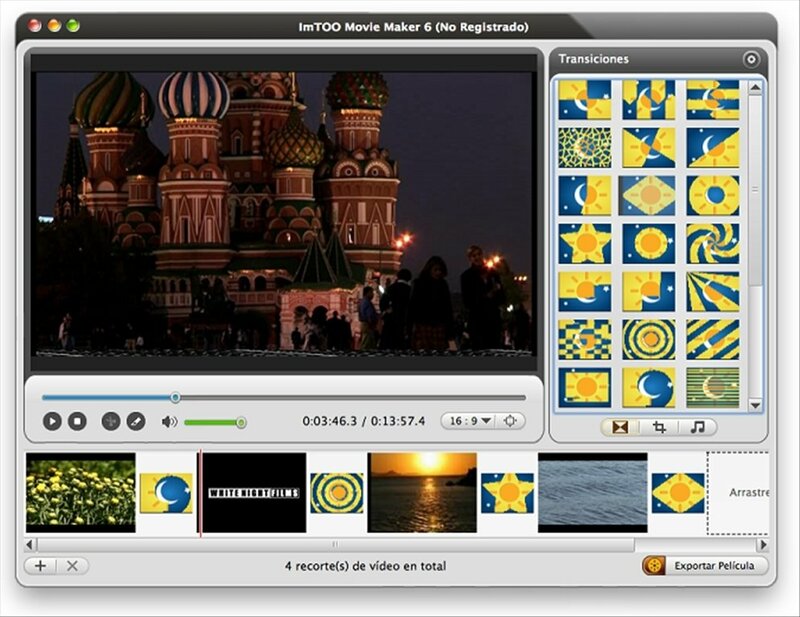 Download ImTOO Movie Maker for free and discover the potential of this video editing software for Mac. Runs on Mac OS X v10.5 and 10.6. Trial version with limited functions that places a watermark on the videos.